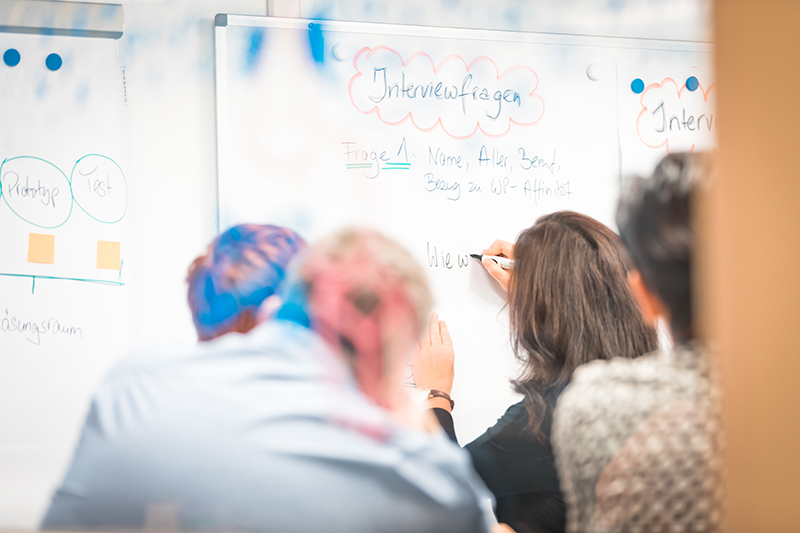 On the last day of the CODE_n new.New Festival, six employees of Landesbank Baden-Württemberg joined forces with GFT experts to prove their mettle as part of a design sprint. Together, they succeeded in developing a concept for a software solution within a matter of hours. GFT promptly transformed their ideas into a prototype – live and on the spot – which was then presented. To harness creativity effectively, you also have to have the right skills – and design thinking is a proven method for systematically driving the genesis and development of innovations by creatively channeling employees’ abilities, talent and skills. 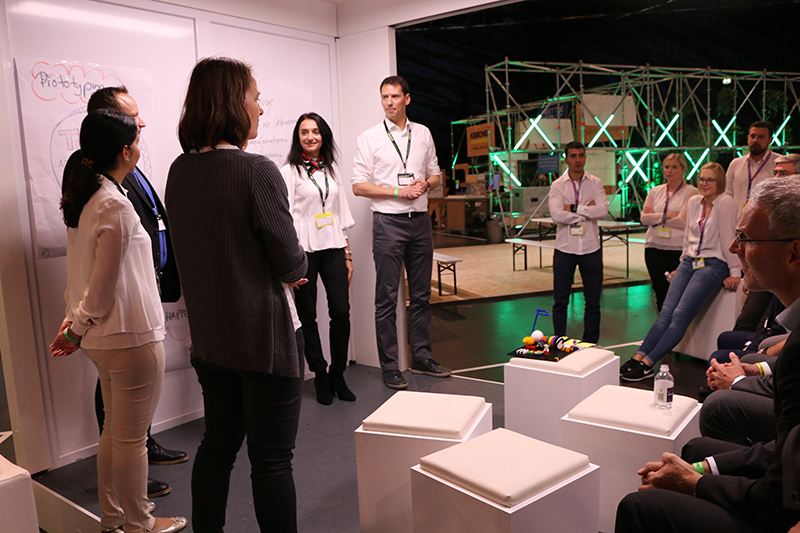 In keeping with this, six employees of Landesbank Baden-Württemberg (LBBW) came to the CODE_n new.New Festival on a Wednesday morning in Stuttgart to join experts in the workshop cubicle on the GFT stand. Basically the cubicle was a large glass room, easy to identify by the colourful sketches on the panels. But it wasn’t just about creating visual impact – creativity and thinking outside the box were the order of the day, two factors that play an essential role in the first stage of software development. 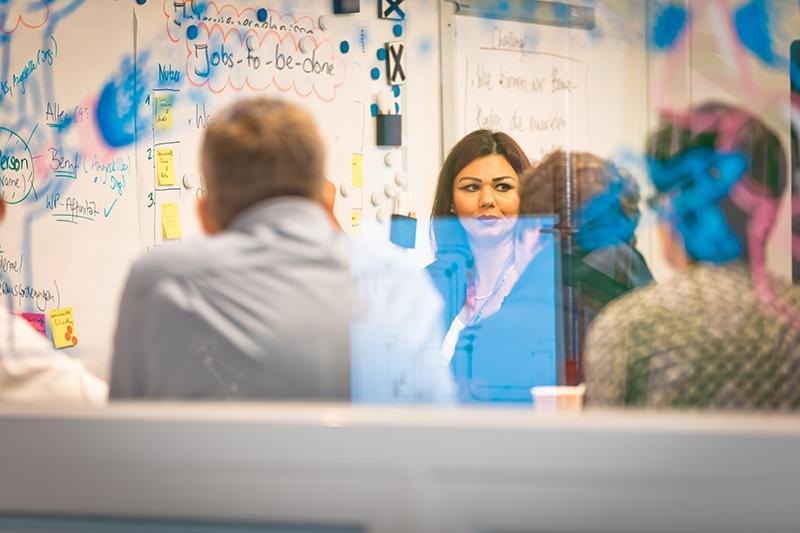 After a brief introduction to design thinking methods and the rules, the first task was to define the day’s challenge and gradually allow the LBBW team and GFT experts to move closer to a solution that fitted the bill. 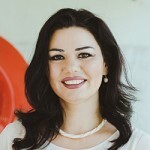 The aim of design thinking is to solve complex problems using creativity techniques. The first step involves gaining a grasp of the overall problem by observing and understanding issues. Only once such an understanding has been reached can the group establish the parameters of a solution in a way that focuses on user needs. Based on these parameters, a challenge is defined and this then guides the entire design sprint process. The LBBW team were given the opportunity to define the term ‘treasury’ more precisely as part of a discussion round with GFT Principal Consultant Med Ridha Ben Naceur, who has experience in treasury issues and was available to answer any questions they had in this area. The challenge was to provide a treasury department with information on the company and market – digitally, agilely and in real time in such a way that future generations of treasurers can use information as a basis for decision-making and recommendations. Defining the challenge also determined the agenda for that day’s design sprint. Next, all six bank employees were guided as they focused their attention on identifying the specific challenges facing the target group (the next generation of treasurers), also coming up with a solution that addressed these challenges. 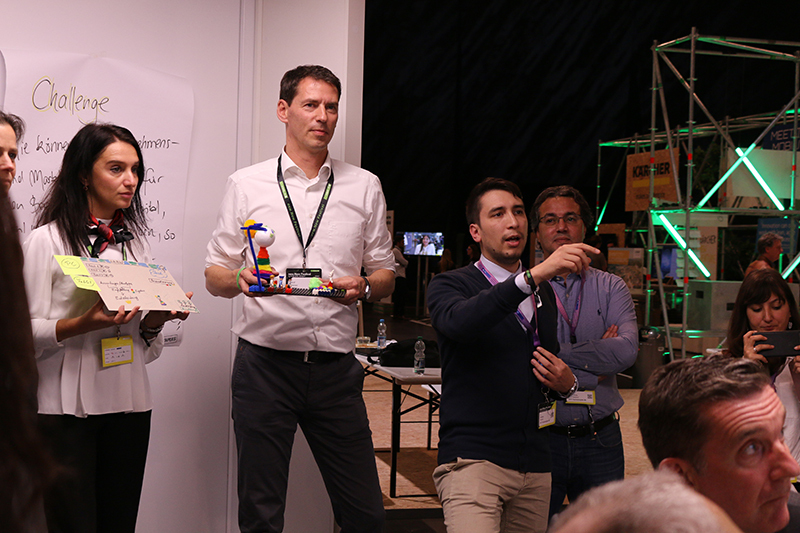 There were not limits to creative thinking during the design sprint, so the LBBW employees could use Lego bricks, coloured balls of cotton wool and pipe cleaners to piece together a preliminary design for their application. As the model evolved, the intermediate stages were shown to the GFT UX designer from Italy, who used images to start developing the software behind the dashboard for LBBW. Once an initial prototype had been pulled together, the LBBW team were shown a demonstration. This also provided a basis for first testing. The feedback provided during the demonstration was immediately used by the GFT experts to adapt the application. 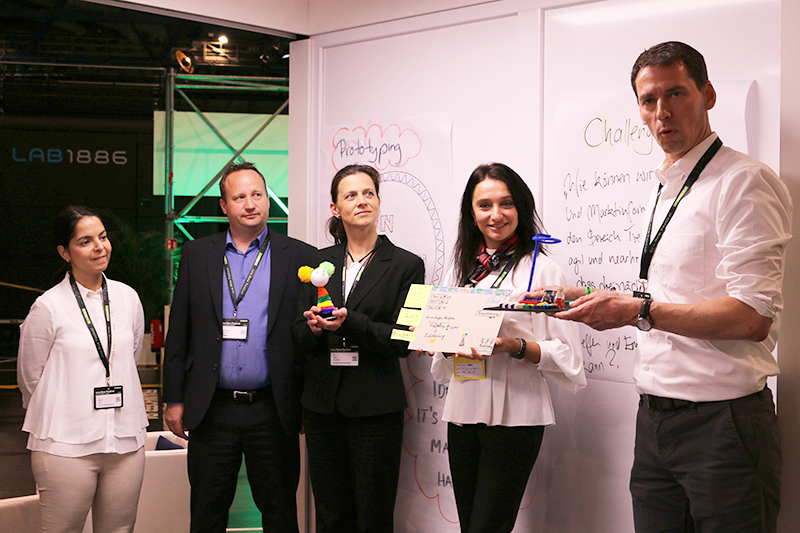 At the end of the workshop, the bank team proudly presented their first prototype. This had made it possible to develop a preliminary design for actual implementation – within a matter of hours. The prototype served as a basis for a technical mock-up, which was created immediately afterwards. The mock-up was put together by GFT experts and presented as a technical solution just a few days later. 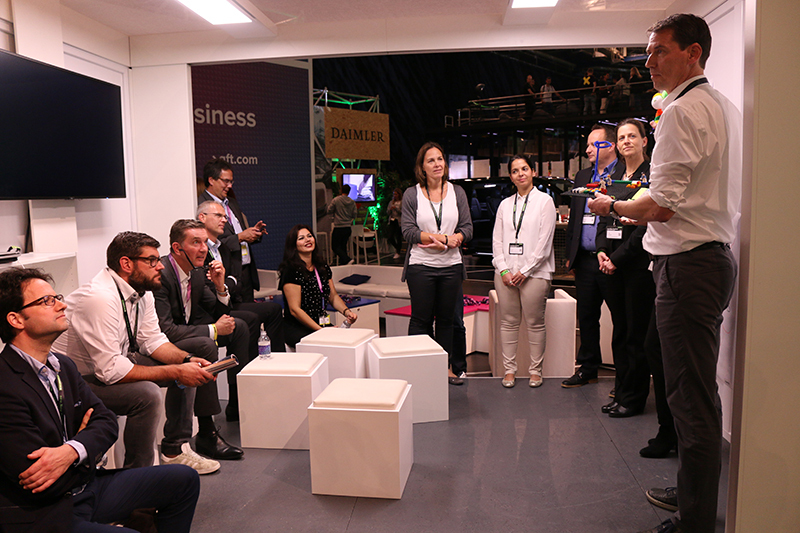 The design sprint participants concluded that if treasurers are going to use the application in their day-to-day work, it should work through the cloud, so it would require information that can be accessed from any place at any time – from a PC, tablet or smartphone. 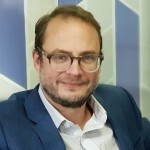 The LBBW team also developed a software concept that would work for several banks – in other words, a solution that’s “not linked solely to LBBW, but also enables connection to other financial service providers so that all treasury-relevant data can be made available centrally and quickly, through a single dashboard,” said Paul Panzer of LBBW, explaining the underlying principle. The application will also be extended by drawing on innovative AI technology. This will make it possible to automate certain procedures by supporting manual processes with voice controls and executing commands needed to carry out treasury tasks. The concept was mapped so precisely, in a visual way that was also highly appealing, that it wasn’t difficult for the GFT experts to use the preliminary design to create a first-stage mock-up within a very short period of time. This mock-up not only integrates general treasury data but also provides immediate feedback on whether logged-in users have the required authorisation to perform transactions. If they don’t, authorisation can be requested immediately using integrated Alexa voice commands. Achieving such a fantastic result in a single day (rather than the five days it usually takes for a design sprint) not only showcases the effectiveness of design thinking and design sprints in general, but also highlights how effective collaboration was between LBBW and GFT. Without this level of interaction, it wouldn’t have been possible to develop this innovative solution within such the tight timeframe. Our warm thanks go to everyone at LBBW for agreeing to take part in the GFT live design sprints – and for their creative input and down-to-earth approach to teamwork.